Blossoming from a personal project of guitarist/songwriter Lucas McArthur into a full band, Solarus have spent countless hours crafting the best albums possible given their independent status and funding. Their debut album Reunion established a sound on equal footing for melodic power metal and symphonic/ modern followers. Now a quartet with bassist Mark Feeney entering the lineup, Darkest Days holds immense promise because of the steady focus and attention to diverse skill sets/ abilities, collectively rendering the results as outstanding to carve their own niche because of dynamic diversity. Continuing their solid relationship with Borealis’ drummer Sean Dowell on the orchestration and recording fronts, the band members can put the weight of effort on memorable, fluid songs that can be very heavy and powerful on one hand, while emotional and introspective at other times. Heads down crunchy riffs as well as supplementary rhythm section grooves place “My Darkest Days” in immediate head-turning mode, something one would expect as a mixture of Evergrey/Kamelot slamming into some of the modern crunch of say Threat Signal. Lucas picks his spots for melodic guitar bursts and thoughtful, intuitive breaks – there’s no questioning his acceleration when necessary for “Limbo” and “My World”, but he also knows when to be complementary for the shifting tides within a power ballad like “The Final Hour”. Raising things to a next level when it comes to melodies, phrasing, and range is vocalist Sarah Dee – her voice sits more in that 90’s Evanescence meets Adele territory, a pop sensibility that still contains conviction, suspense, and vibrant images that are rarely heard in this style of metal. Check out her wide array of abilities during “Limbo” and the epic 6:36 “Dear Saviour”, songs that may find listeners reaching for soft tissues to dry away tears or throw themselves equally into the Solarus camp with fists high in the air. You often worry when there are more than one or two ballads on a full-length that the band could become reliant on that aspect for commercial success. 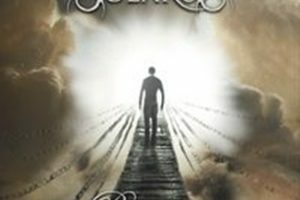 In the case of Solarus, the juggling act between power metal and symphonic/gothic textures works because of those attention to details – multi-layered choruses, crunchy rhythms, solid in the pocket bass/drum parts, piano/keyboard support, no stone left unturned for track to track excitement. In these genres, clichés often deter listeners from expanding their horizons to seek out new talent. 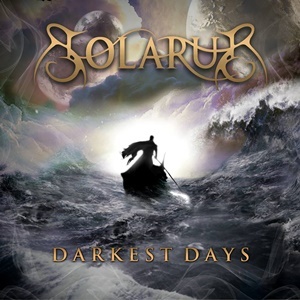 Solarus should be one of those up and comers everyone looks into – the quality playing and creative abilities of these musicians will not go unrecognized for much longer. Darkest Days can brighten the mood of melodic power metal, symphonic/modern fans, and possibly a few progressive-minded folks.